1. Click on the Start circle in the bottom left corner of the screen. From the menu that appears, click on All Programs. Click on Accessories, then click on System Tools. 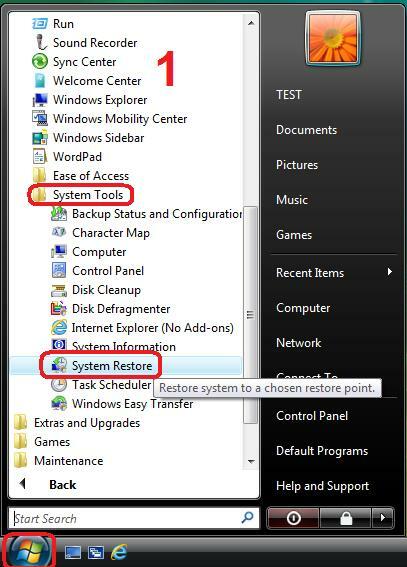 Finally, click on System Restore. If a warning message appears, click on Continue. 2. Click on the Next button to begin the process. 3. 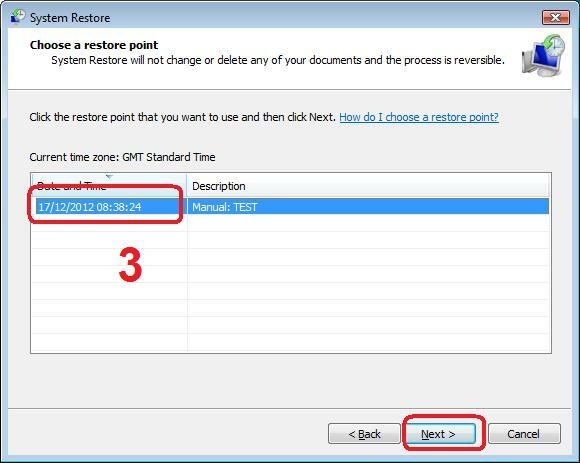 Click on a date and time to restore the computer back to, then click Next. I would recommend clicking on a date at least a day before the problem started. 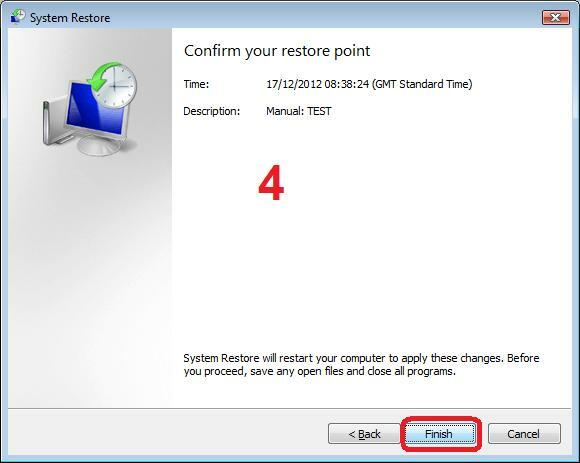 If no such date is listed, look for a Show more restore points tick box in the lower left corner of the window. 4. Click on Finish to complete the wizard and begin the restoration process. 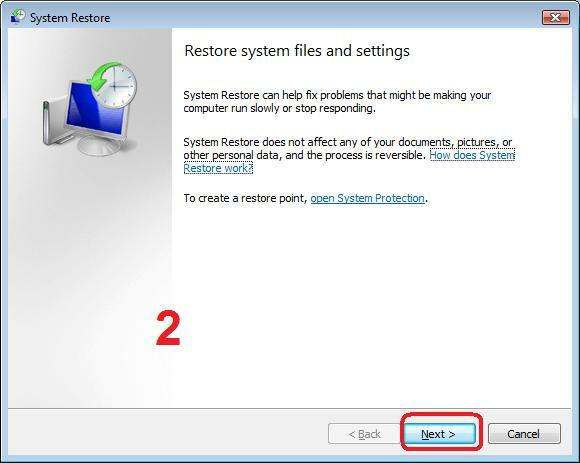 The computer will shut down, restore the computer to its condition on the date chosen, then restart.